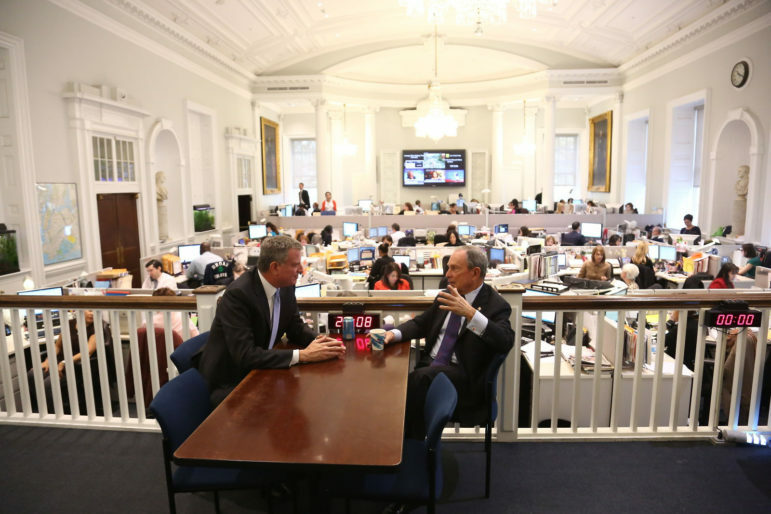 Then Public Advocate Bill de Blasio, as mayor elect, meets Mayor Bloomberg at City Hall in November 2013. One thing that de Blasio did figure out quickly after taking office in 2014 was the need to give people a way out of shelters and into real housing. De Blasio re-established a link between shelters and the resources of public housing and Section 8 that Mayor Bloomberg had severed. By restoring that connection, the de Blasio administration has provided housing to some 26,000 people over the past three years. Advocates praise de Blasio for making the move. They just wonder why he stopped there. In June 2004, the Bloomberg administration released Uniting for Solutions, its blueprint for reducing homelessness by two-thirds over five years. The report contained many sensible ideas that shaped policy for the better. 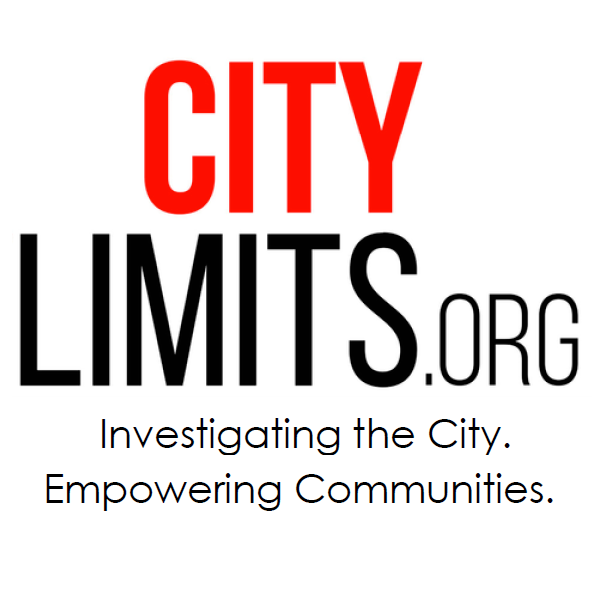 But it also concluded that “entering the shelter system has become the quickest and most certain way for families to receive rental subsidies,” and so it directed that the city would “redesign rental assistance to disincentivize shelter.” That meant ending the city’s longstanding practice of allowing the shelter system to refer homeless people to public housing or the Section 8 program, which give homeless families priority. To replace those resources, the Bloomberg administration created the Housing Stability Plus (HSP) program, a rental subsidy that would have helped a family for five years—but decreased in value by 20 percent each year*. Then Bloomberg replaced HSP with the Advantage program, which eliminated the year-to-year decrease in assistance but provided only two years of subsidy to each client. Neither program was beloved by homeless advocates. In 2011, the state cut its funding for Advantage and the city followed suit. The shelter population soared over the next three years in no small part because the exit door had effectively been closed. After taking office, de Blasio re-opened that door. He created a suite of new subsidy programs (like Living in Communities, or LINC, and the Special Exit and Prevention Supplement or SEPS) that provide long-term housing to the homeless. And the mayor re-connected the shelters with NYCHA and Section 8. In the three years since, nearly 5,800 homeless households have been placed in public housing and just shy of 2,000 have received Section 8 vouchers. NYCHA says it expects to place 1,800 homeless families this year, about 50 percent of their annual total new tenants. The rest of the new slots will go to other “needs based categories,” like people aging out of foster care, individuals struggling with AIDS, intimidated witnesses and extremely low-income families, according to the authority. The NYCHA admissions system prioritizes “working families” as well as needs-based applicants and toggles between the two pools in assigning apartments. The de Blasio administration has resisted setting aside more NYCHA units for the homeless, and it continues to say it is striking the right balance. “Under this administration, together with NYCHA, we remain committed to preserving the priority placement status we restored for homeless New Yorkers in 2014 following a nine-year gap. Through this partnership, we’ve helped nearly 20,000 New Yorkers transition out of shelter into permanent housing housing—just one of many aggressive rehousing initiatives we’re utilizing to help our homeless neighbors stabilize their lives,” said Isaac McGinn, a spokesman for the Department of Homeless Services, in a statement. “At the same time, public housing is an important resource for low- and very-low income families, many of whom are counting on NYCHA in the face of the same challenging economic factors like rising rents outpacing wages and incomes that have resulted in many working families losing their homes throughout the five boroughs,” McGinn continued. DHS notes that the administration has employed a variety of tools in its effort to reduce homelessness, including providing emergency rental assistance to 161,000 households, expanding legal services for low-income people facing eviction, shutting down cluster sites and creating six new “high-quality” sites. The mayor’s plan to build 90 new homeless shelters over five years to permit ending all use of cluster sites and hotel rooms has run into criticism both from neighborhood advocates who don’t want to host the new facilities to housing advocates who argue the city should spend more on creating permanent housing. The large increase to the mayor’s larger affordable housing plan that de Blasio announced on Tuesday could create room for doing the latter. De Blasio’s chief opponent in the 2017 election, Republican Staten Island Assemblywoman Nicole Malliotakis, has proposed a homeless strategy including using incentives to free up large NYCHA apartments and offering job training to people at risk of homelessness. But she has also called for tightening eligibility standards to reduce the shelter population at the front end. “Families who are provided emergency shelter services must have a clear path for community re-entry through education, job training and mental health assistance if necessary,” her plan reads. Advocates have criticized those plans. Deciding how to apportion a scarce resource like public housing is not simple. Other priority groups, like domestic violence victims and intimidated witnesses, also face unmet need. About a quarter of a million families are on the NYCHA waiting list. The question of who public-housing is “for” has dogged the program from its beginnings during the New Deal, when conservatives in Congress fought to make sure only the poor could get in—because they didn’t want the free market for have to compete for middle-class customers against subsidized housing. Managers at NYCHA, the nation’s oldest and largest public housing authority, often charted their own course, and that frequently meant bringing in families with somewhat higher incomes. In addition to whatever social benefit there might have been from the resulting diverse set of families, the inclusion of middle-class households also had a financial benefit for a system whose operation depended partly on rental revenue that was based on tenant incomes. There’s no indication that social mixing or revenue worries are driving the de Blasio policy on homelessness and NYCHA. Whatever the administration’s rationale, Councilmember Stephen Levin, the Brooklyn Democrat who chairs the General Welfare Committee, says the case for a more generous approach is stronger. De Blasio has received harsher treatment from the press over homelessness than his predecessor did. The Daily News has mentioned de Blasio and the word “homeless” in the same item 582 in the nearly four years he’s been mayor; during the final eight years of the Bloomberg era, it mentioned the mayor and homeless 382 times. The New York Times praised Bloomberg’s homeless policy when it endorsed him for re-election in 2005 but didn’t mention the steady rise in shelter numbers when it backed him again in 2009. It wasn’t until the Dasani Coates series, which ran 22 days before Bloomberg left office, that the newspaper of record demanded a full accounting from the billionaire mayor—the journalistic equivalent of an insult hurled after your target has started his car and is driving away from the bar. The shelter numbers are larger now and de Blasio owns them. Bloomberg’s errors might never get the full examination they deserve, but the current mayor can at least benefit from the results of his predecessor’s social experiment—which indicate not just that all tools have to applied to fighting homelessness, but that they have to be used at scale. *Correction: The original version of this article said that HSP involved 20 percent rent increases each year. In fact, the program featured a 20 percent decrease in subsidy each year. There is an error in the description of Housing Stability Plus — it was a 5-year housing subsidy, the voucher for which decreased 20 percent each year. deBlasio is slowly but surely bankrupting NYC with all these programs. All the races. All the questions. And where the citywide candidates stand on key issues. The de Blasio administration’s City Hall in Your Borough series continues. Like, big time. Plus, a speaker candidate clarifies his views on gay rights and abortion.